There are over 900 species of carpenter ants worldwide, 50 of which are in the U.S and are considered among the most troublesome ants found in and around homes. 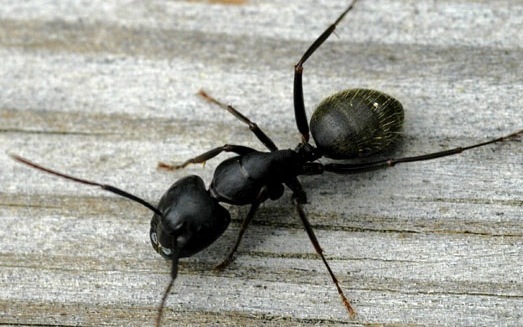 Carpenter ants hollow out wooded areas and use wood to make their nests. 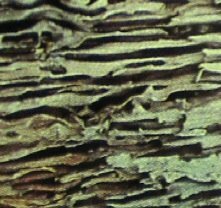 The wood damage they cause can be compared to that of termites, but can be distinguished by its clean and sand-papered appearance. Colonies consist of 3000 + carpenter ants, 200-400 are winged in a mature colony, however, most species are black, or have very dark bodies which vary in size from 1/4-3/4 inches long. They feed on insects (dead or alive), and anything that people eat. Be on the lookout for these basic signs of ant presence. You hear sounds in the quiet of the night. (a sign the ants are chewing your wood!). Some describe the sound like rustling cellophane. We advise a well formulated plan -carpenter ant control plan- in order to get completely rid of these termite-like ants. Upon suspicion of invasion by these ants seek immediate treatment. If you don't, they will quickly chew everything in their path and weaken all wood in your home. You can go ahead and conduct an inspection. Check the following. Under accessible insulation spaces around the home (storage spaces). Should you choose to hire our experts to help you with any type of bug, you will notice that a standard procedure we have implemented is our thorough inspection as part of our carpenter ant control program. Plus you can be present and will also give you advise on how to do your own. Say you are trying to implement a carpenter ant control program of your own.